For around a decade only the i386/i486 edition of VectorLinux has been available, which is a Slackware-based distribution optimised for business and office use. Today Robert Lange announced the first 64-bit edition of VectorLinux 7.0 Standard under the name "VLocity": "The main desktop is based on Xfce-4.8 with a custom theme and artwork unique to us. 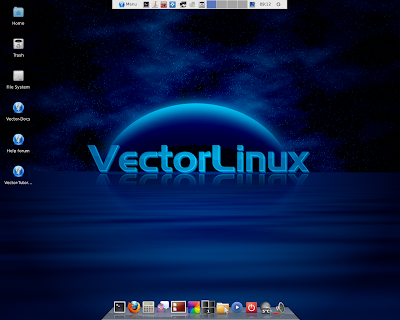 All the VectorLinux trademarks are included: DVD playback, audio and video codecs, multimedia and Java plugins are installed and working out of the box. The best of the open source world is included: GIMP, Inkscape for graphics; Firefox, Opera, for Internet Browsing; pidgin and xchat for instant messaging; Brasero for CD burning; MPlayer, Exaile for playing most available media formats. The office applications are Gnumeric, Abiword and Epdfviewer. Wireless networking has been extended with updated drivers and firmware, wicd has been employed to manage wireless and non-wireless networking. 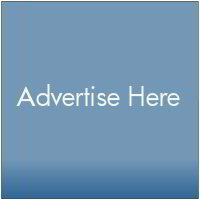 UFW is included for firewall protection and there is added support for several webcam makes and models." Thanks for the review. I quite like Vector Linux. I noticed today (Aug 4, 2012) that its website http://www.vectorlinux.com is down, replaced with a notice from GoDaddy that the registration has expired. Do you know anything of this? Is Vector Linux being discontinued? It may be possible that they forgot to renew their subscription so as they'll know about it they renew their website subscription. And vector linux can't be discontinued because before 15 days they launched this 64-bit version.